This is a rectangular curved Potosi Lager Beer porcelain sign. This particular Potosi Lager Beer sign is white with red and black text. 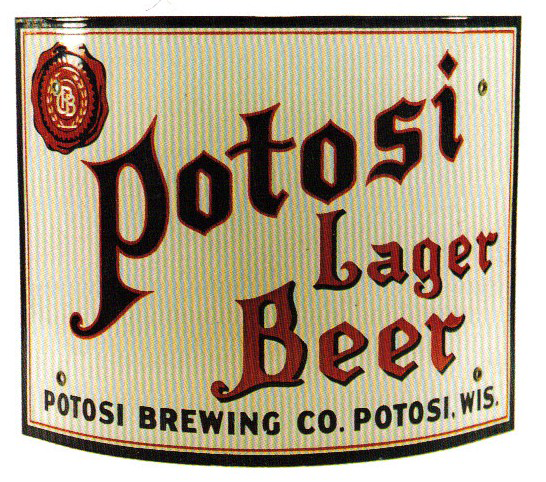 It reads, “Potosi Lager Beer, Potosi Brewing Co., Potosi, Wis.” and features a red wax seal in the upper left corner of the sign.